We are notifying the full address office and person to be contact of SSS Boracay branch in Aklan. It will help as your direct on how to get there easily and conveniently. 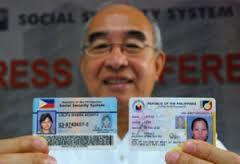 For knowing of your SSS account information from loans, ID picture, benefits, pension,forms, download, condonation, SSS ID Processing – Fees, Time, Requirements and other programs, static information, Voluntary Members SSS Table of Contributions and more. You come personally for further information and complete address listed below. This entry was posted in Benefits, Branches and tagged office location, sss branches, sss contribution. Bookmark the permalink.